Exactly how our book cover would look! 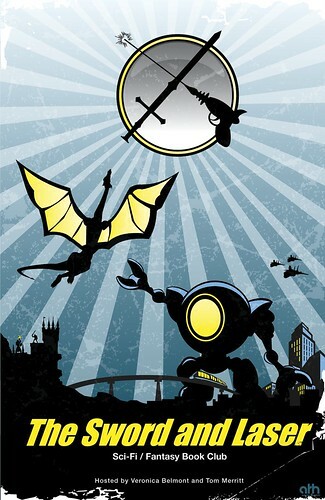 Aaron Harvey from our Ning forums created this amazing "book cover" for Sword and Laser! I think it marries the science fiction and fantasy genres perfectly! I also feel pretty honored that Aaron took the time to create something so cool for the community.